Special to the DailySandra Dallas is a New York Times best-selling author and the author of 10 novels as well as 10 nonfiction books. 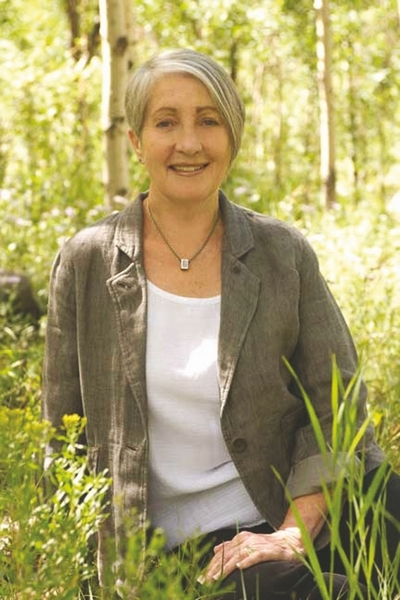 Most of her books involve some aspect of Colorado history. Colorado author Sandra Dallas will be the featured speaker at a fund-raising event for the Eagle County Historical Society on Sept. 27. Tickets are now on sale at the Bookworm in Edwards and at the Nearly Everything Store in Eagle. Dallas is a New York Times best-selling author and the author of 10 novels as well as 10 nonfiction books. Most of her books involve some aspect of Colorado history. Vogue Magazine described Dallas as “A quintessential American voice.” Her most recent novel, “True Sisters,” was listed on the New York Times Best Seller list the week of its debute. “An Evening with Sandra Dallas” will take place at the Brush Creek Pavilion in Eagle beginning at 6 p.m. with a social hour. Refreshments will be served and a cash bar will be offered. Dallas will discuss her literary work and answer questions. The Bookworm will offer Sandra Dallas books for sale at the event. Tickets are $25 in advance ($20 for ECHS members) or $30 at the door. A reduced rate of $200 is offered of group purchase of a table for 10. “This will be a great outing for book clubs,” said ECHS President Kathy Heicher. All proceeds from the event will benefit the Historical Society, which operates the Eagle County Historical Museum. The Historical Society also presents local history programs at schools and throughout the community including cemetery tours and walking tours of local towns. Working in partnership with the Eagle Valley Library District, the Society maintains archives at the Eagle Library. For further information contact Kathy Heicher via e-mail at kheicher@gmail.com or call 328-7104.